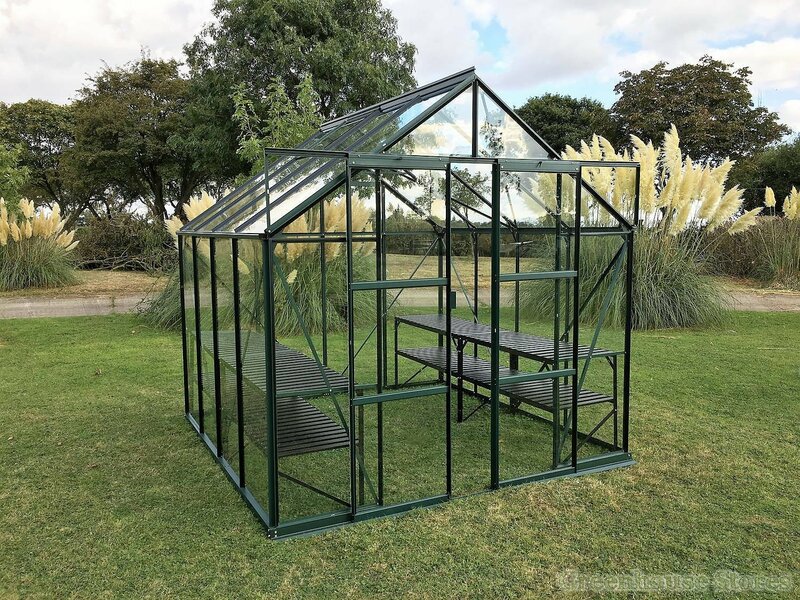 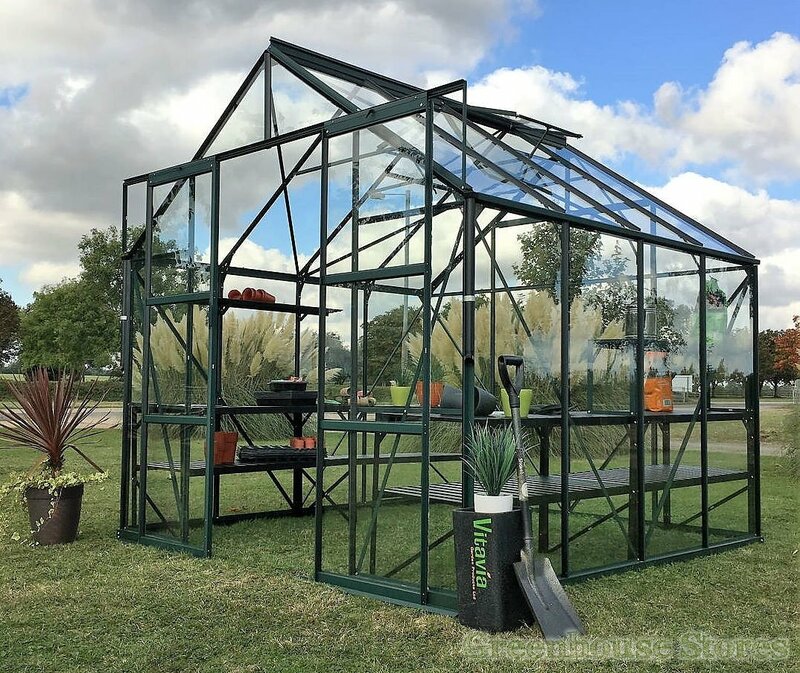 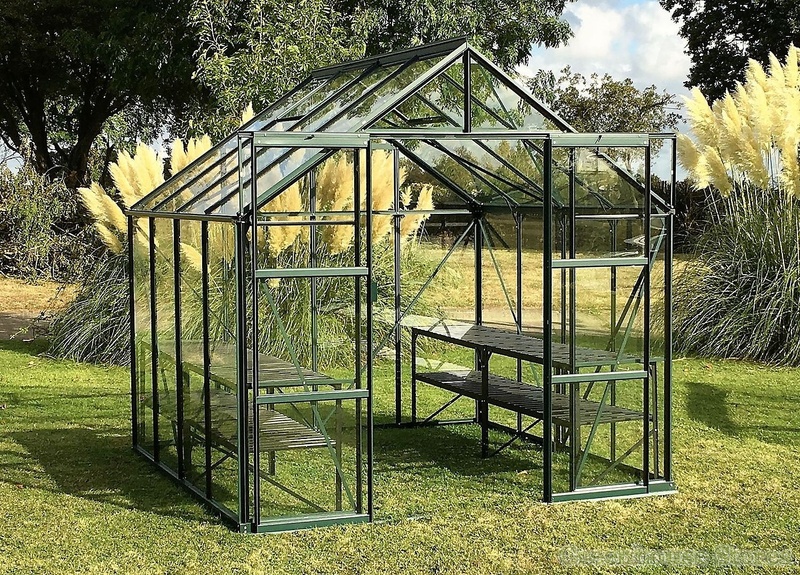 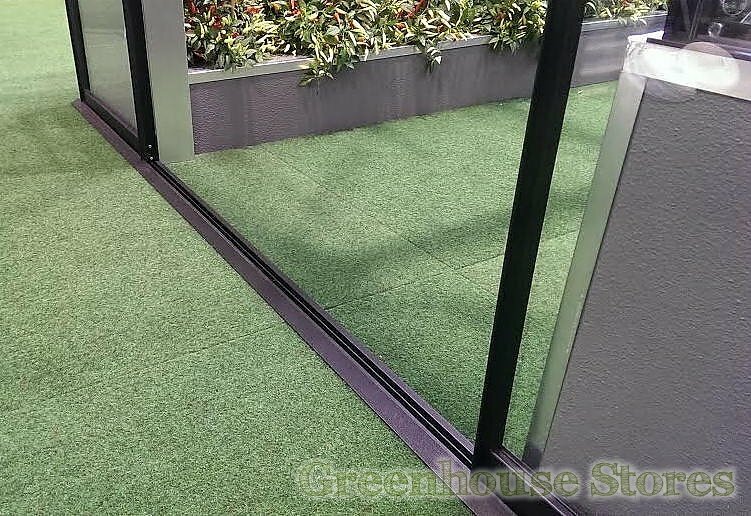 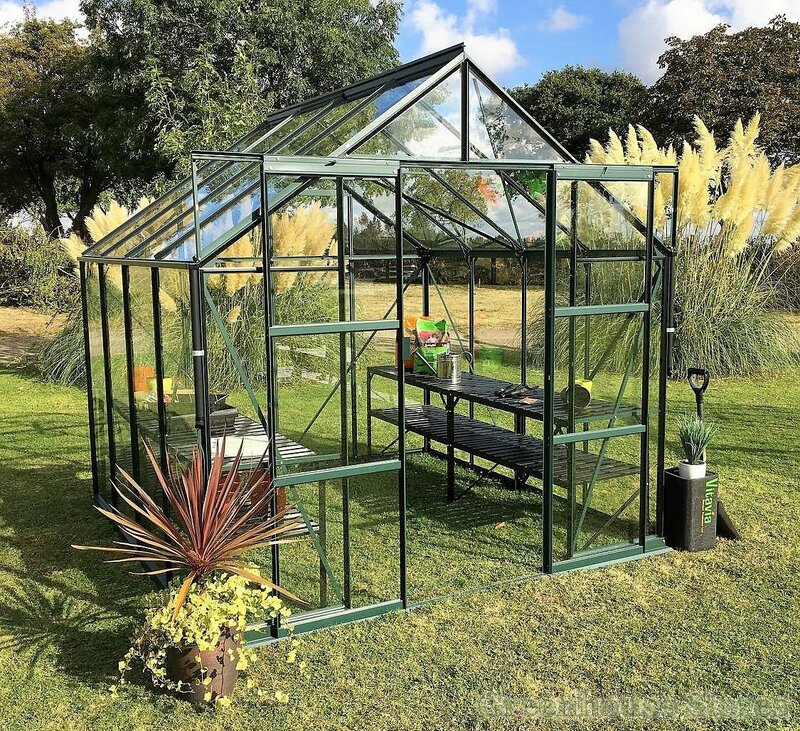 The 8x10 green Vitavia Phoenix Greenhouse is the newest 8ft x 10ft model from Vitavia with the innovative low threshold entrance and integrated base plinth. 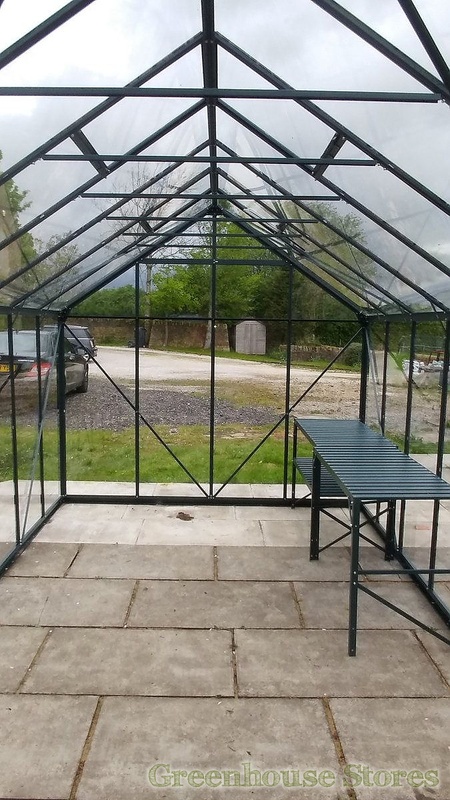 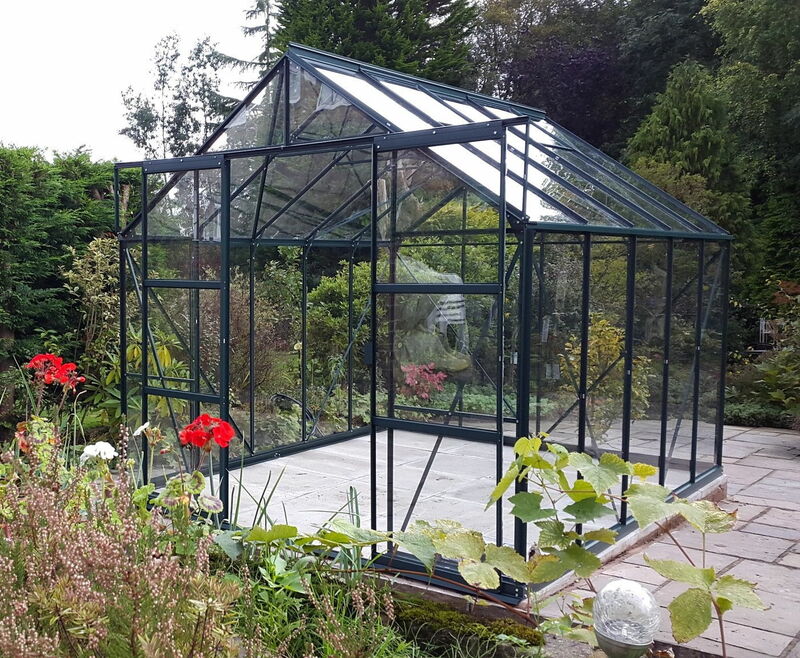 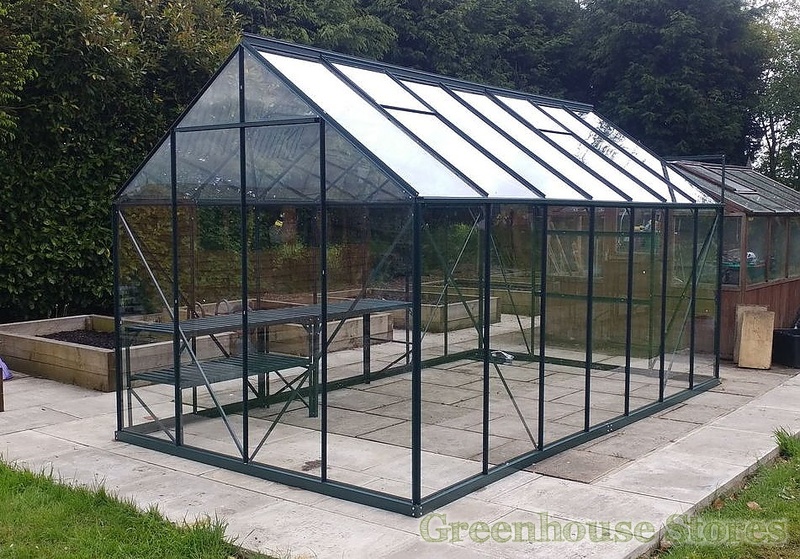 A nice looking greenhouse with a superb dark green powder coated finish. 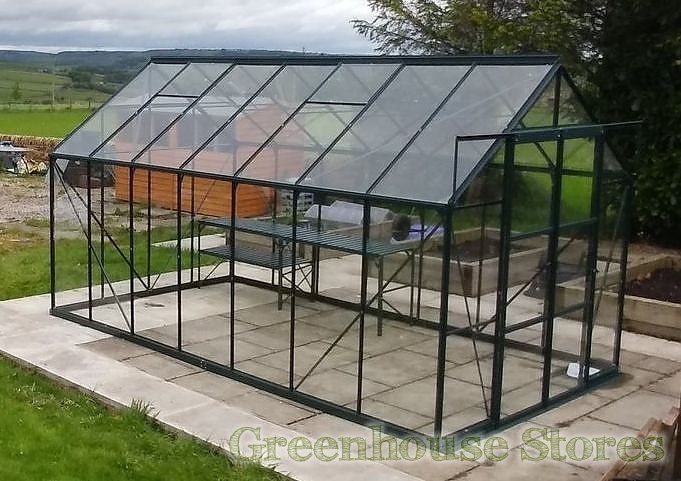 The green framed Vitavia Phoenix 8300 8ft x 10ft has 4 opening roof vents for good ventilation, sliding double doors and integrated base and gutters.